Newly released from prison, the last thing Colin Cooke expected to see in Clear Creek was an angel. But there she was, just getting off the stage, and was of course everything an angel ought to be. Beautiful, of exquisite form, and with honey gold curls that bounced when she walked. Unfortunately, she walked straight into the arms of Mrs. Irene Dunnigan! The one person everyone avoided as best they could. At least until they needed something from the mercantile, then they had no choice. The self-righteous, cantankerous woman owned it! How was he going to get acquainted with the exquisite creature while Mrs. Dunnigan roamed about guarding her like some fire-breathing dragon? Perhaps with a little help from his brothers, he’d manage it. But the sort of help he got wasn’t exactly the kind he had in mind. Belle Dunnigan hadn’t expected Clear Creek to be so remote. It was a far cry from Boston society and she soon learned how hard life out on the Oregon prairie could be. But it wasn’t prairie life that was hard. It was living with her Aunt Irene! The woman ruled with an iron fist and hated everyone. Especially the Cooke family. And unfortunately for Belle, the only decent men of the marrying kind within a hundred miles, WERE the Cookes! With spinsterhood starring her in the face, what was she to do? Even worse, she was terribly attracted to Colin Cooke, the one man her aunt hated most of all. Will love find a way? Or will it be no match for Mrs. Dunnigan? The bane of Clear Creek! Duncan Cooke had a problem. A really BIG problem. As the next Duke of Stantham, he would have power and position, a wealthy estate and the means to take care of his family for years to come. His father and mother could only dream something like this would happen to their eldest son and now their dream was a reality. So what was the problem? He had to get married in the next thirty-eight days or lose it all. Unfortunately, Duncan lived in Clear Creek. A place where there wasn’t a single female around for hundreds of miles. Cozette Duprie could hunt, shoot a gun, and wield a bow and arrow like nobody’s business. Heck, she even helped her father take down a buffalo once. But the buckskin clad beauty had been living life disguised as a boy for so long, she had no idea how to be a girl. And worse, her father suddenly thought she ought to start living like one. But why? Why let everyone in Clear Creek know her secret? And if her father had any ideas of marrying her off, who on earth would want her? No one. For how could any man want a wife who couldn’t utter a word? Would Duncan be able to beat the deadline and inherit the title and estate? Or be stopped by those wishing not only the title for themselves, but something much more precious? The long awaited arrival of Mr. Berg is here! 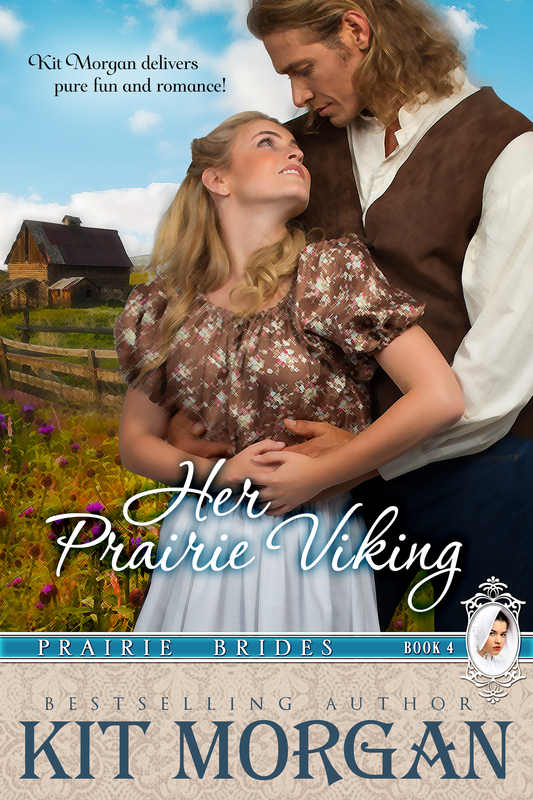 He made his first appearance in Her Prairie Knight, then sprang into action with the rest of the townsfolk in His Prairie Duchess, no Mr. Berg has his own story to tell! Andel Berg came to Clear Creek under the guise of becoming the new blacksmith, but little did the townspeople know that he was so much more! Madeline Van Zuyen came to Clear Creek for new beginnings and the chance to start a new life. Little did Madeline know that SHE was so much more! Mr. Berg had a job to do, a duty to perform. Find the Princess Madelaina Valenta at any cost. Then, retrieve her and deliver her to Count Rudge, one of the most despicable men Andel had ever known. Not an appealing task for a Captain of the King’s Royal Guard to perform, but for a catch. If he didn’t deliver the princess Count Rudge would kill his father, and Andel was prepared to do anything to save him. But Andel hadn’t counted on falling in love. If he didn’t deliver the princess his father would die. If he did could Andel live with himself, not to mention, live without her? Logan Kincaid was sent to Oregon City on ranch business for the Cooke brothers and the Triple C. He sold the cattle he brought, played detective for the Cooke’s as instructed, and unfortunately, came up empty handed. He’d hoped beyond hope he’d have SOMETHING to bring back to Clear Creek that would help the Cooke’s and the tiny town, but sometimes what we think we want, isn’t what we need, and Logan (with a little unexpected help) got EXACTLY what he needed! She was beautiful, she was alone, and she was terribly injured. Who was this man who came out of nowhere to rescue her? He saved her from certain death and was determined to take her back with him to a place called Clear Creek. He was handsome, strong, and kind and if she wasn’t careful, she’d be quickly smitten. In fact, he was so determined to protect her he offered to marry her to do it! There was only one problem. She had no idea who she was! Josiah King came to Clear Creek with a past. A past no one in town knew about until now. For the one person in the world who knew of the deed he’d done had been part of it, and Josiah thought to never see Annie Stone again. Annie Stone was on the run, running from an evil so vile, so utterly despicable she couldn’t bear to speak of it to anyone. 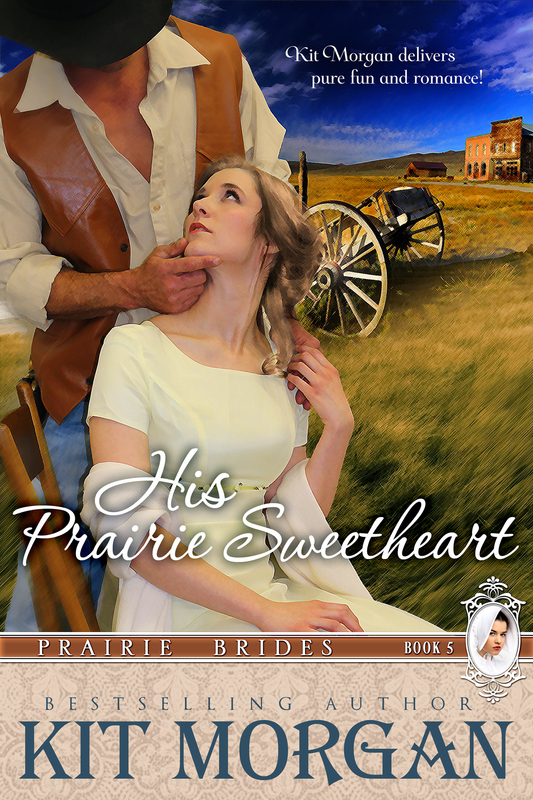 But the residents of Clear Creek were different and Annie thought perhaps in time she could finally face her past, until she saw Josiah King. What was he doing there? How could she face him? If he, Josiah King, the only man Annie had ever loved found out what she’d done, he’d surely have her run out of town! Elsie Waller came to Clear Creek after the death of her grandfather. She had high hopes for her life in the little town including finding herself a husband! Imagine her elation when she happens upon the man of her dreams the very day after she arrives! Of course, the fact he was half frozen did put a damper on things, but once the townsfolk of Clear Creek thawed him out she endeavors to make sure Bowen Drake stays around long enough to see she’d make him a mighty fine wife! The only question was, how? 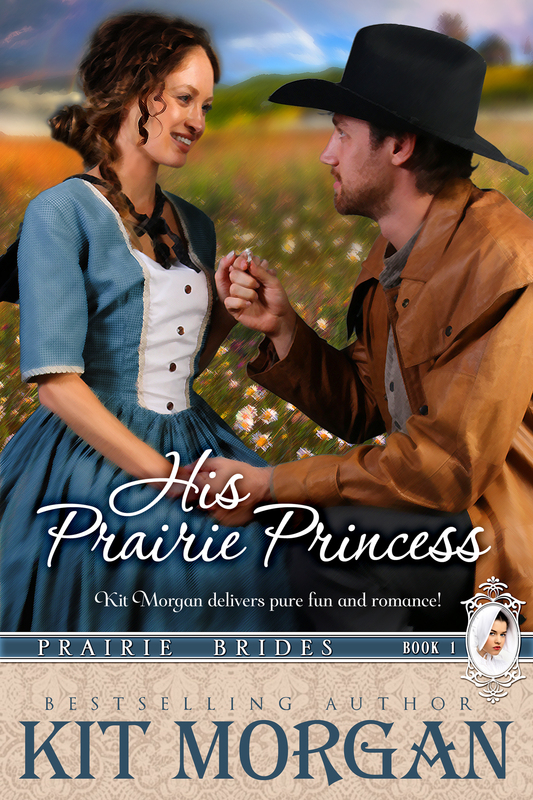 The first three books in the Prairie Bride Series are a great introduction to Clear Creek! One of the wackiest towns in the old west, and home of The Cooke Brothers! Three Englishmen taming the Oregon Territory with their fists, their guns, and impeccable manners! 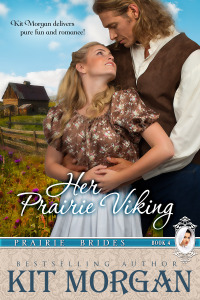 Picking up where the collected stories of The Cooke Brother’s (Prairie Brides Books, 1-3) leave off, books 4-6 of the Prairie Bride Series tells the stories of Andel Berg, Logan Kincaid, and Josiah King. Three men who came to Clear Creek, each looking for something different. Logan Kincaid came to Clear Creek to help out the Cooke brothers and soon became their foreman. It wasn’t long before he was sent to Oregon City on ranch business for the Cooke brothers and the Triple C. He sold the cattle he brought, played detective for the Cooke’s as instructed,(Due to Mr. Berg’s mayhem of several weeks prior.) and unfortunately, came up empty handed. He’d hoped beyond hope he’d have SOMETHING to bring back to Clear Creek that would help the Cooke’s and the tiny town, but sometimes what we think we want, isn’t what we need, and Logan (with a little unexpected help) got EXACTLY what he needed!